"Most people under estimate the strength of their credit rating. They assume just because of a couple of bad marks that they can't buy a new or quality pre-owned vehicle. That just isn't true! I work with all the major lenders throughout the nation, to provide the best service possible for every buyer. Every customer benefits from my expertise, if their credit is excellent, average or marginal they will benefit from my major lender connections. Not only do we place them in a new or quality pre-owned vehicle, we begin the process of healing their credit if needed. PLEASE let me prescribe you a transportation solution." Who needs Dr. Can Dosm? Dr. Can Dosm is an automotive finance genius. He has made key connections with people throughout the automotive finance industry over the last twenty years and brings that knowledge to the car buyer. Dr. Can Do and his staff travel across America finding the best possible deals on new and pre-owned vehicles. His financial connections lead him to the best bargains in repossessions, police seized, government liquidations, lease terminations, rental returns, program cars and local trade-ins. Dr. Can Do utilizes a nationwide network of auto dealers and consultants to locate these vehicles and secure financial terms suitable to the average automotive consumer. Most of Dr. Can Do's patients have better credit than they thought. Everybody has some situations that occur but, these instances don't have to stop you from buying the car you want. There are lenders who want every level of consumer. The trick is to match your credit to your lender and your vehicle. 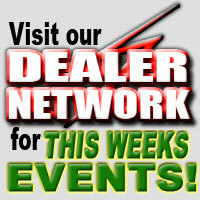 If the lender knows you are buying a valued product from a reputable dealer they are more willing to work with you. What if I have good credit? For patients with good credit Dr. Can Dosm will save you the maximum amount possible. Your positive credit rating entitles you to the lowest rates possible. Prime lenders want your business and Dr. Can Dosm will find you the absolute best terms available in the market. Plus, you get to save money on the high quality vehicles he brings. 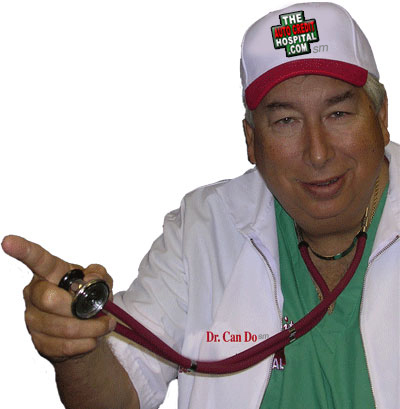 Dr. Can Dosm needs customers with good credit to help balance his portfolio. Your superior credit rating will help your neighbors, friends and possibly some of you relatives purchase their next vehicle. So go see Dr Can Do let him help you save money today also! Do you take trade in's? During an AUTO CREDIT HOSPITAL event the dealers sometimes sell up to half of their used car inventory. With the demand for used cars on the rise, your vehicle is probably worth more than you would have ever expected. That's why during an AUTO CREDIT HOSPITAL event the dealers are always more aggressive with their trade-in allowances in order to re-supply their inventory with clean local trade-ins !!!! How do I find out the price and payment on the vehicles? DR. Can Dosm has marked the complete inventory down for volume selling, the prices and payments are posted clearly on every pre-owned and some of the new vehicles too ! Pick your vehicle and your payment and let Dr. Can Dosm do the rest ! After these vehicles are recovered and inspected they are disposed of at a fraction of their original value. Perfect for smart buyers looking for bargains on quality well maintained vehicles made available to the public at discounted prices. Excellent values on late model fleet maintained vehicles, most still have factory warranty remaining ! Factory buybacks means HUGE savings to the consumer, don't miss out they go fast ! Well maintained and low miles gives you peace of mind in a barely used lease return ! Low mileage local vehicles, have great confidence in maybe buying your neighbors clean trade !